This article was originally published on November 12, 2018, the day Stan Lee died at the age of 95. We thought we'd bring it back to the front lines in honor of Lee's birthday on December 28. Excelsior! Marvel icon Stan Lee, who passed away at the age of 95, created a legacy that will last forever by inventing a giant stable of culture-shifting superheroes. Lee did so with the help of his collaborators, such as Jack Kirby, Steve Ditko, and Bill Everett, as they conjured countless characters and stories in the Silver Age of Marvel Comics that would become the superhero foundation for countless readers for decades. They would also serve as the bedrock of a thriving cinematic universe whose scale, scope, and ambition remain unmatched. Here are Stan "The Man" Lee's most iconic Marvel creations. The first family in superhero comics may have been tarnished a bit by of a string of box-office disappointments, but they once anchored one of the greatest superhero comics created — the very first of the Lee-Kirby team. The dysfunctional but loving family and their squabbles were sandwiched between scientific breakthroughs and battles with the Moleman. Fantastic Four introduced the Inhumans, alien races Kree and Skrull, and two of Marvel’s greatest adversaries, Galactus and Doctor Doom. Its genesis, though, has been long questioned, as Lee claims this title was created using their “Marvel Method,” with Kirby whipping up the art for multiple titles and Lee writing the dialogue and captions after the art was complete. Kirby maintained that he came up with the idea, and it was a carryover from the Challengers of the Unknown, which he created for DC Comics. Regardless of the struggle over who created what, their Fantastic Four run was an inspiration to creators and readers long after, and there have been equally entertaining runs of the comic after Lee and Kirby left, a handful of animated series, and four live-action films. Using Norse mythology as the foundation for what would become Asgard, Lee, Kirby, and Lee’s brother — writer Larry Lieber — created the God of Thunder for the Marvel Universe. While Lee is a co-creator, it was actually Kirby who was enamored by the Norse mythology and stated in interviews that he created a version of Thor for DC Comics in the 1950s, but wanted to update the character and costume to fit in a superhero universe. Thor did successfully expanded a comic's framework to go beyond what readers understood as “our” world — specifically the confines of Earth — and discover otherworldly beings. The cosmos in the Marvel Universe inevitably grew, as did the concept of the nine realms, all thanks to the introduction of Thor. Lee and Kirby introduced T’Challa, King of Wakanda in the pages of Fantastic Four, and for the first mainstream superhero of African descent, T’Challa was a worthy character and, in its time, went against type. T’Challa is the head of a nation, he is scientifically savvy and wise beyond comprehension, plus he has access to incredible technology. The Wakandans are in charge of Earth’s supply of vibranium, a fictional vibration-absorbing mineral, which made them power players in the Marvel Universe. Black Panther was adapted into an animated series on the BET Network, and was turned into a blockbuster feature film in 2018. Lee started a corner of Marvel Universe for magic or the mystic arts called Strange Tales, and that’s where Doctor Strange was introduced. It was the trippiest of comic series at the time, as the book touched on Eastern and Middle Eastern practices, mysticism, the surreal, and the psychedelic. Lee was inspired by a 1930s radio play called Chandu the Magician and had Strange repeatedly conjure up spells like the Hoary Hosts of Hoggoth or the Eye of Agamotto, though he admitted that he never understood what any of it meant; it just sounded cool and mysterious. Lee gave a majority of the credit of the creation to Ditko, as it was the artist who originally pitched it to Lee — the disorienting visuals would help amplify the trip they would take readers on. We’ve seen Stephen Strange introduced to the MCU in his own solo film and throughout Phase Three, but he did have other incarnations, including a 1978 TV Movie and guest spots in countless animated projects and video games. Inspired by Dr. Jekyll and Mr. Hyde and Frankenstein, Lee and Kirby created a savage beast out of a meek physicist after Dr. Bruce Banner was exposed to gamma rays from an experimental bomb for the military. Lee was also inspired by the Jewish myth Golem and the popularity of The Thing from Fantastic Four to do something more with the man-and-monster duality. That was a common theme from Lee and Kirby’s inception, but has long been the continued point of interest in later runs by other creators. 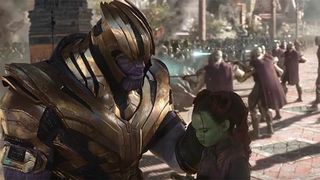 Hulk’s popularity rose after the 1970s TV show starring Bill Bixby and Lou Ferrigno, and after a few box office flops, he was finally tweaked to movie perfection in the MCU. No matter the medium, there’s also something inherently gleeful in seeing the Hulk smash through anything in his way. But no matter how big he grew or what color he was, the Hulk has always had a huge heart. Natasha Romanov was far from the first female superhero in the Marvel Universe — that was Sue Storm — but the Black Widow had such an interesting backstory, she was never pigeon-holed like other for female characters at the time. She started out as a villain, luring Hawkeye to her cause. And who doesn’t love the idea of a spy with high-tech gadgetry? Romanov eventually defected from Russia, and after helping the Avengers for many years, became the official 16th member. She underwent some redesigns and was given a more harsh upbringing by other writers, and also became a regular fixture in the pages of Daredevil. She was the first female superhero in the MCU, and a stand-alone film is in the works. Realizing that New York City was too big for one hero, Lee created Daredevil with Bill Everett, and wanted to give a blind lawyer heightened senses to overcome a disability suffered when he was young. Lee stacked the cards against Matt Murdock, who was blinded by an accidental chemical spill, but made him that much more death-defying as an acrobatic crime fighter who took care of bad guys evading the law. Daredevil was more grounded with his superpowers and stories, a Marvel Law & Order, if you will. With more happening in New York, Lee introduced characters who would coexist in other titles, so Murdock’s biggest adversaries like Kingpin made life hard for Spider-Man, too, strengthening the continuity between multiple titles. Lee wrote the first 50 issues of Daredevil, and others added richer stories and background to the people who helped make Matt Murdock the beloved character he is now. Those later stories have been used to lay the groundwork for the Netflix Daredevil series. Long before the Iron Man movies inflated Tony Stark’s profile and role in the Marvel Universe, Iron Man was known by comics readers for stories that were grounded in reality and corporate wars. While Captain America was born out of fighting Nazis, Iron Man was created by Lee to comment on the Vietnam War, with Stark reconsidering his stance on manufacturing weapons for the military. As time passed, Iron Man became involved in a technological race against opposing countries and industries created their own battle suits; Stark’s armors and their modifications were a draw for gearheads. Iron Man became the first feature film to be produced by Marvel Studios, and its success laid the foundation for the MCU, with Stark becoming its central figure thanks to Robert Downey Jr. The greater metaphor that X-Men wound up becoming, being born as a minority and having Professor X and Magneto serve as literary proxies for Martin Luther King and Malcolm X, might not have happened if Lee didn’t have writer’s block. Lee originally couldn’t come up with how this new team of superheroes would get their powers, having exhausted gamma rays, cosmic rays, and more. So he figured that they would be born with the powers and be labeled as mutants. These X-Men would be ostracized and considered pariahs in society, forcing them to wage an underground war led by Magneto, who held that mutants — homo-superiors — were the next evolution of mankind. Although the genetic mutation wound up being a launch pad for new superpowered friends and foes on the surface, it also showed that the comic-book medium could be a provocative place to discuss greater social issues like prejudice, racism, love, and identity. Given the growing teenage audience, it made sense for Lee to develop a story in the summer of 1962 about a young boy who had faults, who made mistakes, had all the problems of a normal teenage nerd, but have him balance all of the problems of a superhero, too. The innocence and spirited youth of Peter Parker was something everyone could identify with, but his quick wit and inventiveness gave him charisma beyond compare, not to mention a timeless rogues' gallery that tested his mettle. To date, Spider-Man is still the most recognizable Marvel hero, with a collection of films, video games, and animated series covering each decade except the 1970s.